A photograph donated to this site by Michael John Turk. In the foreground are Mr Turk’s sister and brother-in-law, Elsie and Herbert (Herbie) Brain. 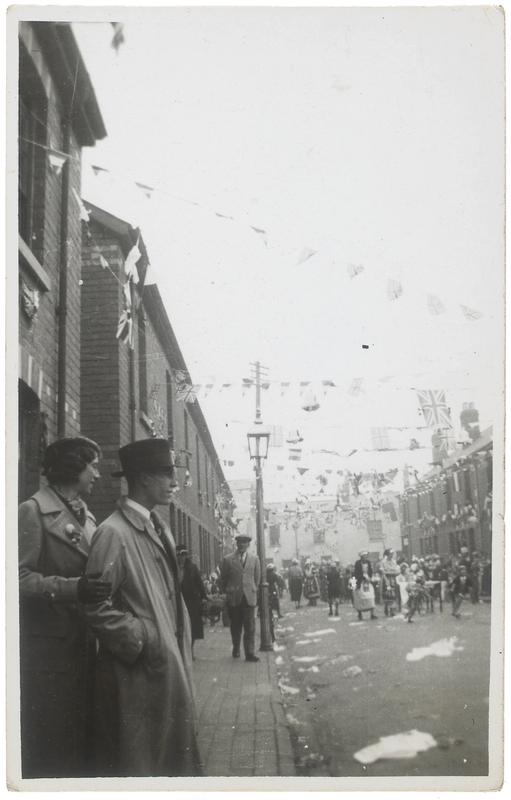 Interestingly on the right are houses in Ducie Street. These were subsequently knocked down to build Tredworth Infant School, which opened in January 1971. Do you remember the 1937 Coronation celebrations, or those in 1952? Perhaps you have memories of the 1977 Silver Jubilee celebrations, or alternatively lived in the houses in Ducie Street before they were demolished? We would be pleased to hear these memories if you are prepared to share them with us. Please feel free to contact us.